After a OS reboot, windows would not boot up 100%. You can login at the VM console, but not RDP in. 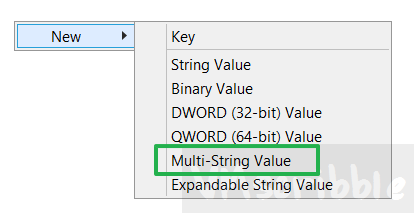 You can open a command prompt, but not task manager or a MMC console). In safe mode, disabling all of the VMware Services and rebooting allowed win 2012 to boot up fine. We started the VMWare services one-by-one and found the Inventory service took 15 minutes to start. 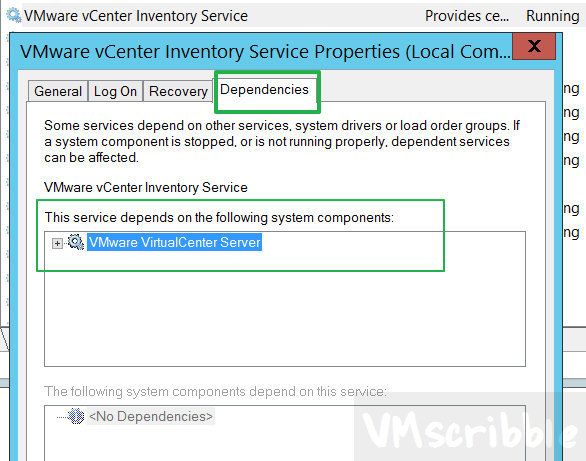 Problem – The VMware VirtualCenter Server service (vpxd, c# client users) will not start until the VMware vCenter Inventory Service is running. Setting the Inventory Service as “startup delayed” fixes the windows 2012 OS boot, but still adds at least 15 minutes (amount of time it takes for the Inventory service to start) to the total amount of time to get back up (from a web and c# client perspective) and running after an OS reboot. 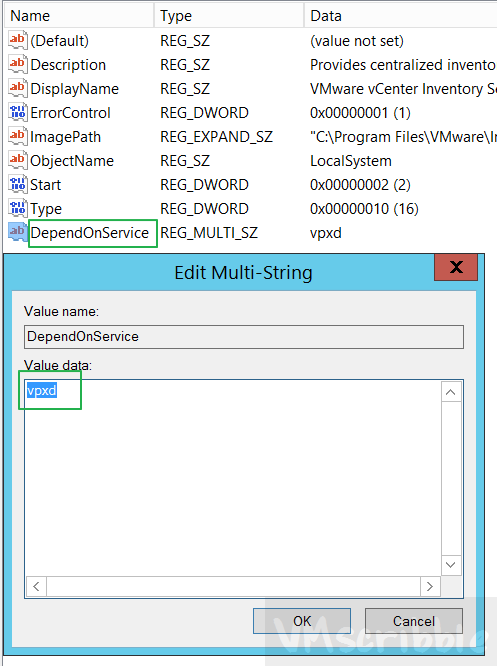 Set the VMware vCenter Inventory Service as disabled. Upon a reboot, rdp in, the VMware VirtualCenter Server service should be starting. 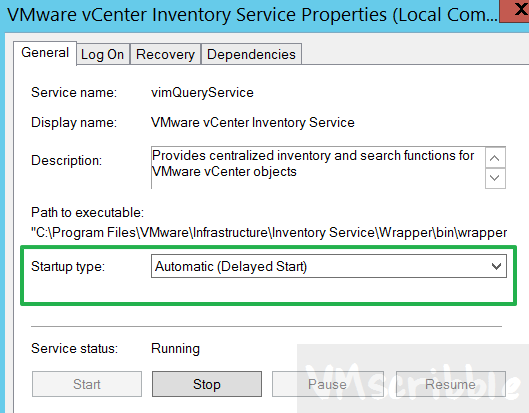 Manually start the VMware vCenter Inventory Service. An idea is to create a VB script to start the VMware vCenter Inventory Service once the VMware VirtualCenter Server service is running (still not as efficient as both should start concurrently). Thumbs down to this option. 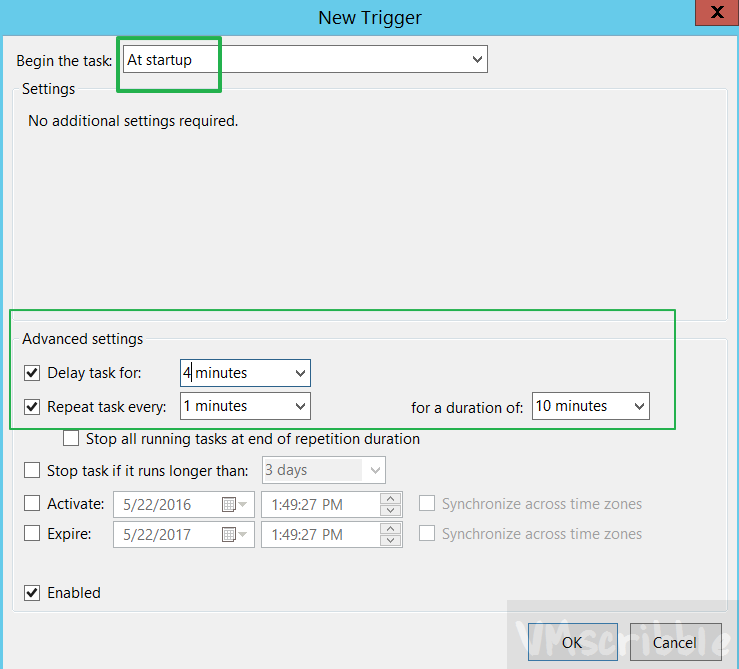 Create group to control the ordering of the VMware Services. I have not experimented with this. Make the VMware vCenter Inventory Service (set to startup delayed) dependent on the VMware VirtualCenter Server service (just like the VMware VirtualCenter Management Webservices is) so that the VMware VirtualCenter Server service is NOT waiting X minutes for the Inventory Service to be running. Problem – The Virtual Center Webservices does not start automatically. Add a Paravirtual SCSI (PVSCSI) adapters and a new disk drive (fastest storage) and Re-install the Inventory service to the new drive letter.